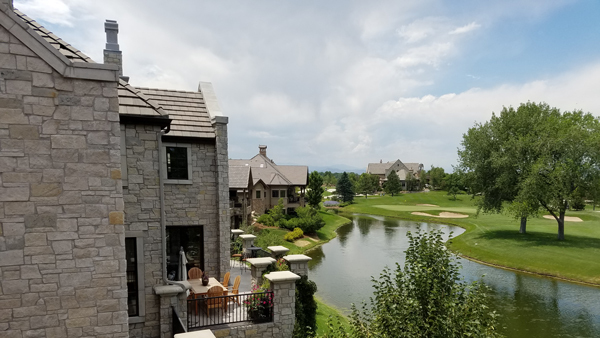 The city of Littleton's history dates back to the 1859 Pike's Peak Gold Rush, which brought not only gold seekers, but merchants and farmers to the community. 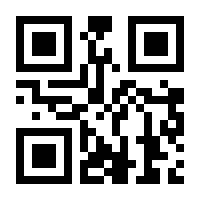 Richard Sullivan Little was an engineer from New Hampshire that made his way out west to work on irrigation systems. Little soon decided to settle in the area at present day Littleton and brought his wife Angeline out from the East in 1862. The Littles, along with many neighbors, built the Rough and Ready Flour Mill in 1867, which provided a solid economic base in the community. By 1890, the community had grown to 245 people and the residents voted to incorporate the Town of Littleton. This is a 8,000 sq foot commercial building. 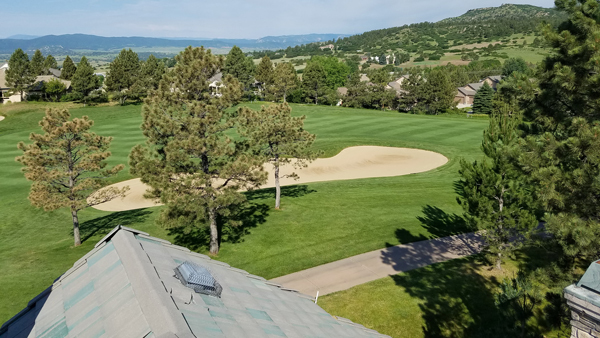 Window and gutter cleaning on a private golf course in Castle Rock, Colorado. Castle Rock, Colorado is 29 miles south of Denver Colorado. Englewood, Colorado is 16 miles south of Denver Colorado. 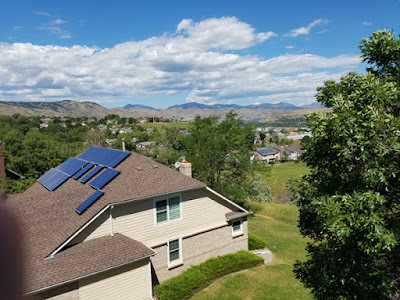 It is interesting that Englewood features a climate very similar to that of Denver, but is slightly milder and more stable due to the city's establishment in a very low part of the South Platte River valley. 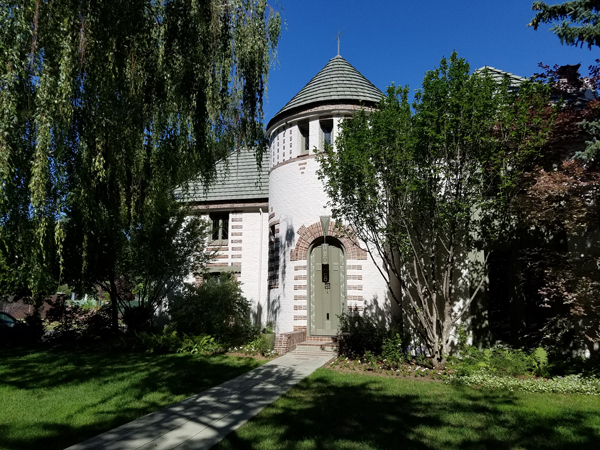 Old Denver Colorado area - home with stained glass windows! 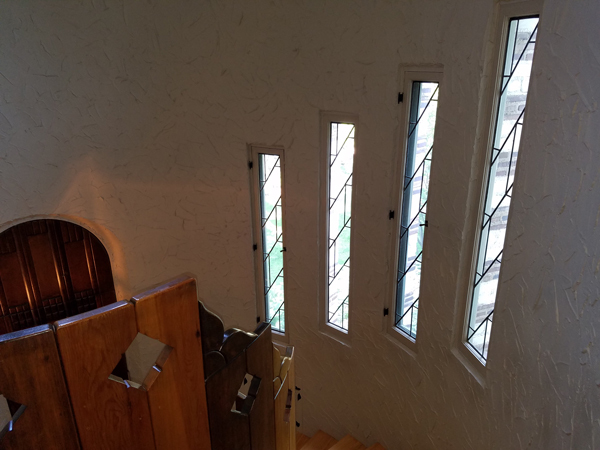 Castle style home with 90 year old leaded glass windows. "Old Denver Colorado" area. Notice the stained glass windows below. They have to be washed very carefully. Boulder is the home rule municipality that is the county seat and the most populous municipality of Boulder County, and the 11th most populous municipality in the U.S. state of Colorado. 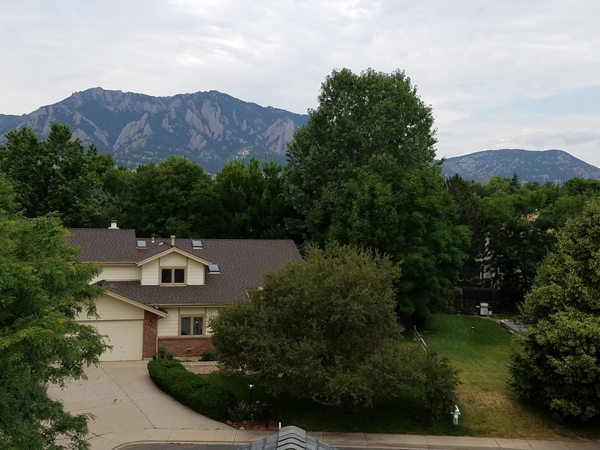 Boulder is located at the base of the foothills of the Rocky Mountains at an elevation of 5,430 feet (1,655 m) above sea level. The city is 25 miles (40 km) northwest of Denver. The population of the City of Boulder was 97,385 people at the 2010 United States Census, while the population of the Boulder, CO Metropolitan Statistical Area was 294,567. Boulder is famous for its colorful Western history, being a choice destination for hippies in the late 1960s, and as home of the main campus of the University of Colorado, the state's largest university. Furthermore, the city of Boulder frequently have high rankings in health, well-being, quality of life , education and art. 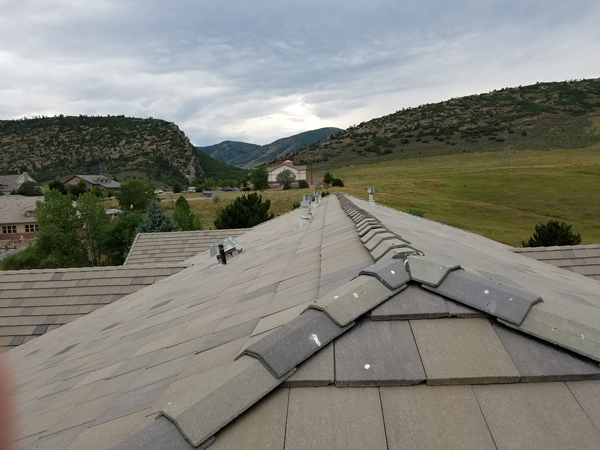 Window job in Golden Colorado, 15 miles south of Denver Colorado. Golden City became capital of the federally recognized Colorado Territory in 1862, continuing as such until 1867. Golden City became the "Lowell of the West", a regional center of trade and industry that boasted at certain times three flour mills, five smelters, the first railroad into the Colorado mountains, the Coors Brewery, brick works, the only paper mill west of Missouri, clay and coal mines, and more. During the 1870s, it became home to three institutions of higher education, the Colorado University Schools, of which the Colorado School of Mines remains today. Golden was also home to an opera house and seven churches, including Colorado's third (Methodist) church, oldest Baptist church, likely oldest Christian (Disciples of Christ) church, and first Swedish immigrant (Lutheran) church. The town was home to sizable populations of German, Swedish, Italian and Chinese immigrants; five immigrants became mayors of Golden. Lots of windows and gutters but I did not find any golf balls. 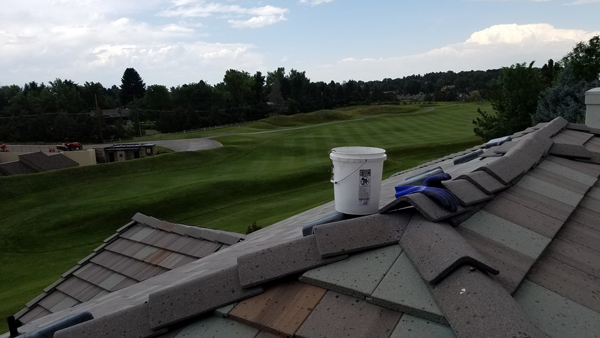 This Denver Colorado, high end home on the golf course was a but of work to clean because of the height and the irregular shape. But "No Problem we got her done!"